On 23rd January, the transition Parliament in the Central African Republic elected Ms Catherine Samba-Panza as interim head of State to restore peace and order and spearhead the organization of free and fair elections in a bid to give some much-deserved relief to the people of Central African Republic, especially women and children, who have borne the brunt of the coups and counter-coups, insurgency and counter-insurgencies the nation, I like to call the Heart of Africa (geographical location), witnessed since gaining independence from France in 1960. Many of my PanAfrican friends, be they afro-pessimists or afro-optimists, tell me CAR or RCA joins the list of countries that attained “Flag independence” as not much has been achieved since the 60s. Many hopes are placed on the shoulders of this mother some call St Catherine of Bangui, hinting at the magnitude of the task ahead of her considering the fact that she was the mayor of the city before her appointment. For the first time in CAR, a woman is elected at the helm of the country though not by universal suffrage. Mama Catherine is not the first female transitional president on the African continent, but the task ahead of her makes her stand out. She will lead a country in chaos up to elections that most likely will be held on 15 February 2015 (based on what the other kingmaker in Bangui (my opinion) France said at African Union donors’ conference for CAR. First there was the freedom fighter Ms Carmen Pereira in Guinea-Bissau i.e. 1st African female head of State. She was president of the Popular National Assembly during the military rule of Joao Bernardo Vieira and as such acted president from 14th to 16th May 1984 when a new Constitution was passed. In Burundi, Prime Minister Sylvie Kinigi served as leader from 27 October 1993 to 5th February 1994 after the president Melchior Ndadaye was killed on 21st October 1993. She was Premier from 10 July 1993 to 7 February 1994. To date, she remains only woman to have occupied that post. Liberian Ms Ruth Sando Fahnbulleh Perry chaired the Council of State from 3rd September 1996 to 2nd August 1997 to prepare the transfer to a democratically elected government after the first civil war (1989-1996). She handed over to Charles Taylor who was elected. She was also 1st vice-president of the Organisation of the African Unity, OAU now known as African Union (AU). Ms Ellen Johnson-Sirleaf of Liberia, the first democratically elected African female head of State on 16th January 2006. She is hailed for that. Dr. Ivy Matsepe-Casaburri of South Africa served as acting president after the resignation of President Thabo Mbeki in 2008 until the taking of office of Kgalema Motlanthe. 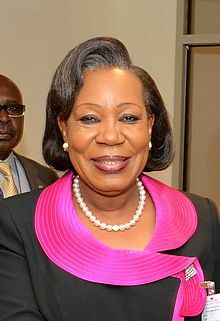 As president of Senate in Gabon, Ms Rose Francine Rogombé, served as head of State from 10th June to 16th October 2009 after the death of Omar Bongo until a successor was elected. In Mauritius, Ms Monique Ohsan-Bellepeau acted as president from 31st March 2012 to 21st July 2012 after the resignation of her predecessor Anerood Jugnauth. 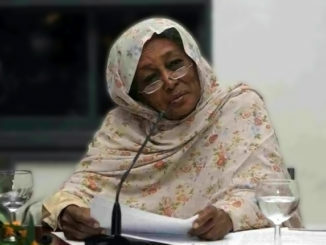 She is Vice-President since 2010. The presidency in Mauritius is ceremonial. Ms Joyce Banda of Malawi, as elected Vice-President she became head of State to complete the term of President Bingu wa Mutharika who died in April 2012. Coming back to Mama Catherine, mama as she considers all as her children, I hope and pray she succeeds not because she is a woman and mother but because that country needs to be saved and she is the “president of consensus”. The crisis I like to call political but that politicians manipulated to turn into a religious one is very complex to say the least. On one hand you have former member of the then rebels’ coalition Seleka who committed many atrocities after their “leader” Michel Djotodia declared himself president. The group comprises mostly Muslims with mercenaries from Sudan and Chad. The antiBalaka are armed civilians mostly Christians and animists (some say they include Muslims) formed in 2009 to fight highway bandits/robbers or “Zaraguinas” (masked outlaws) in north and west CAR. Antibalaka means anti-sword or ant-imachette. They wear jujus that reportedly protect them against such weapons though they use light weapons to fight. Since Djotodia became president, antiBalaka expanded to include those fighting Selekas be it Christian, animists insurgents, Bozize sympathizers and former members of the armed forces FACA. After her election, Mama Catherine called on her “Seleka and antibalaka children to lay down arms”. She met with those identified either as Seleka or antibalaka representatives who pledged to work towards attaining peace. 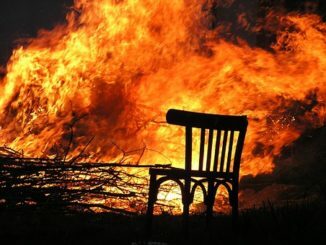 But, clashes have intensified since her swearing in. This shows that there no structured line of command be it within the Seleka or the antibalaka. When I was in Bangui in December, I was privy of info about a so-called antibalaka leader who informed peacekeepers that his “troops” will ceasefire as he claimed to control a number of districts in the city. But when spontaneous fighting broke out, it became evident that the influence he was boasting about wasn’t that big after all. Identifying the many “leaders” is a major task; each will want to be taken into account. Let’s hope sooner than later this will be achieved. When we left DRC, I forgot about CAR until Ange Felix Pattase was elected then toppled by Francois Bozize. DR Congolese Jean Pierre Bemba is still at the ICC because of his alleged indirect role in massacres his troops committed in CAR when backing Patasse to stay in power. I always wondered why Bozize was never indicted for crimes he committed. Then came the turn of Bozize to face the strongest opposition ever ie a group of rebels that formed the coalition called Seleka in 2012. In January 2013, they signed a peace deal with Bozize with Michel Djotodia as First Deputy Prime Minister for National Defense in the all-inclusive government. Bozize was toppled in March then Djotodia declared himself head of State after some infightings within Seleka. Following regional mediation, a 105-member transition Council to serve as parliament was elected which in turn elected Djotodia, then Bangui’s strongman, who was unopposed. You know the rest of story. There are currently about 5,500 African Union peacekeepers backed by 1,600 French troops to maintain law and order as well as disarm all warring sides. Out of a population of 4.5 million, almost 1 million fled their homes including 512,000 internally displaced in Bangui while over 222,000 are residing in neighbouring countries. There are 225,500 women of child bearing age countrywide, 45,100 of whom are pregnant. UNFPA expects 3,100 births per month (over 100 per day) and 4,510 women are at risk of sexual violence.